My favorite of all I ordered! Put our fur babies names on there too?? A really nice Xmas ornament. Perfect personalization. Thank you for the beautiful Christmas ornaments they will look lovely on my family's Christmas trees. Yes this product is of great quality and beautifully made! This is a gift for first time family! My nephew and his family loved this! 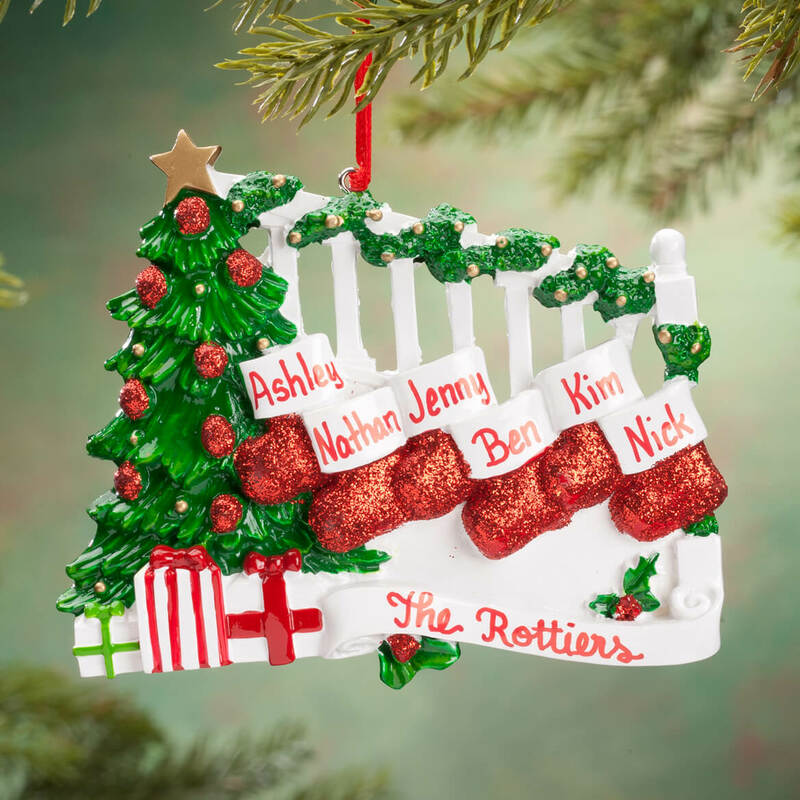 It'll be hanging from their Christmas tree soon! 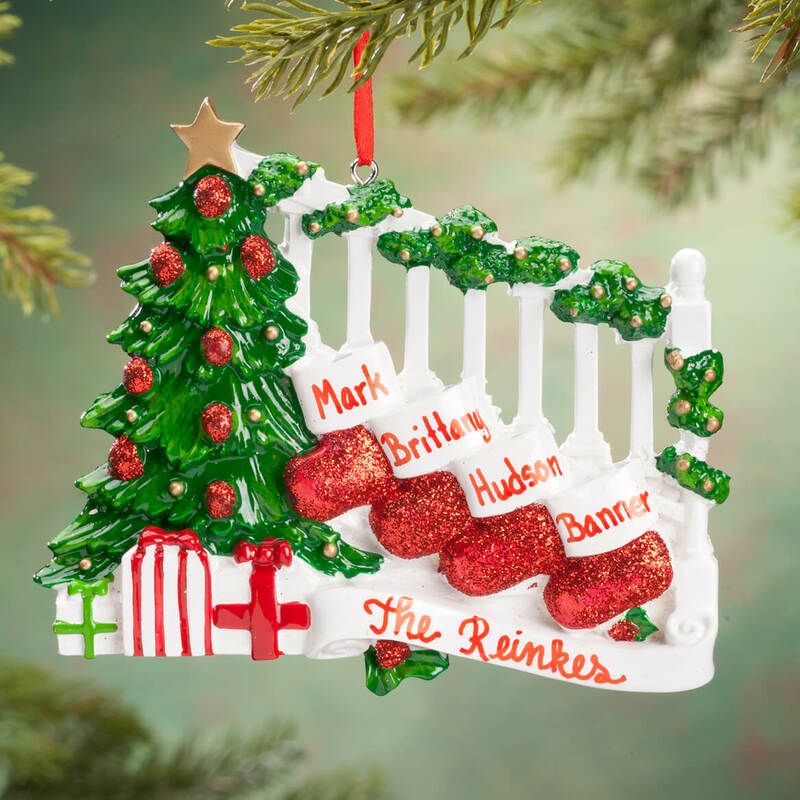 I just love how beautiful it looks great ornament with memories to treasure. Beautifully done and I would recommend to others. Script was neat and legible. Ornament bright and well made. Only negative was the box for this order was flimsy and seriously bent. Surprised the 4 ornaments were not damaged. Would recommend sturdier box. 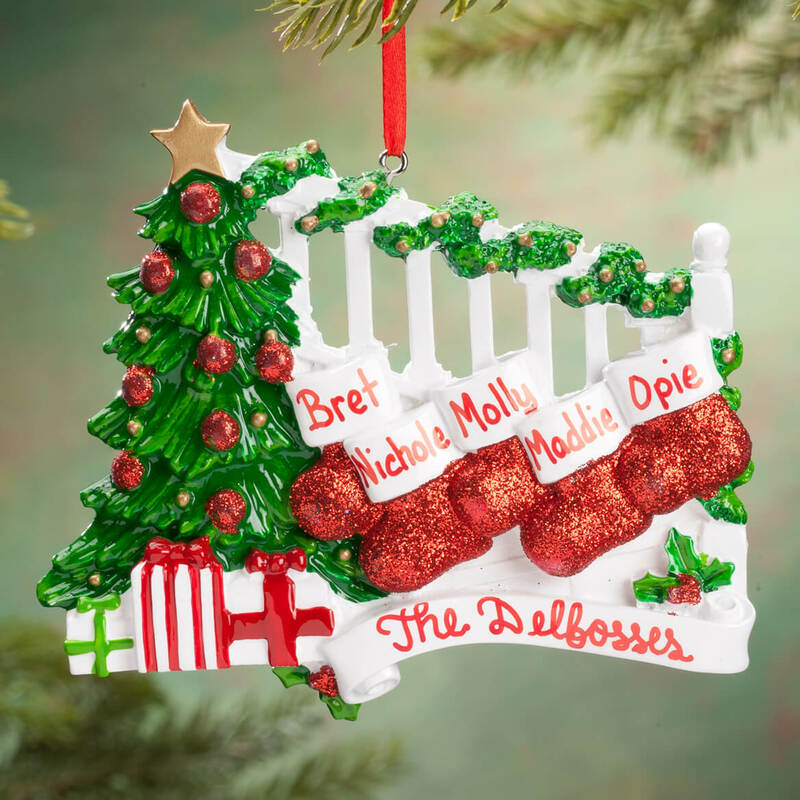 I would buy the personalized ornaments again. 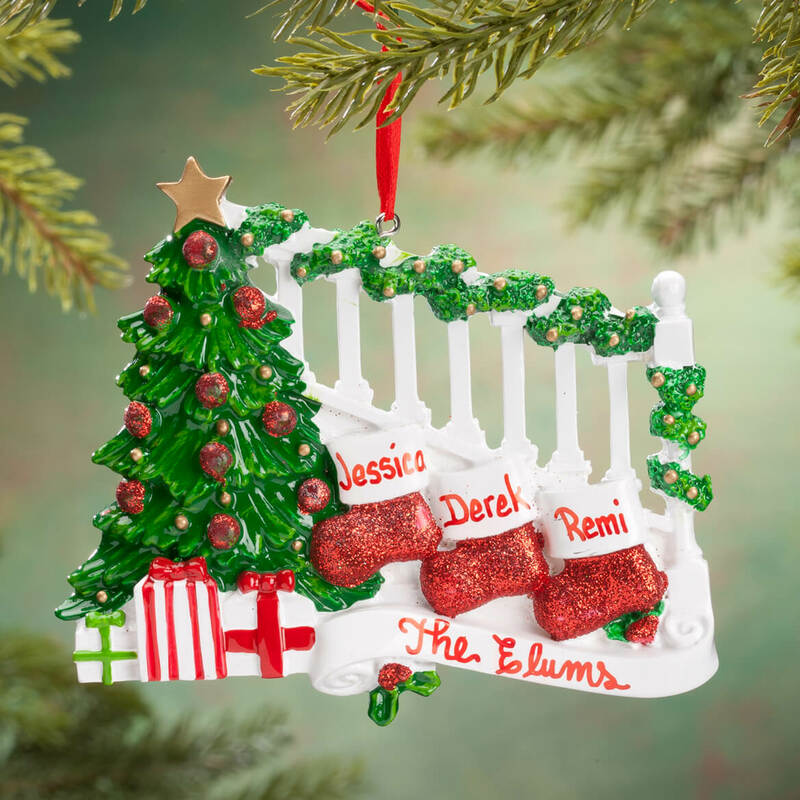 I really like all of the choices that Miles Kimball for the personalized ornaments and they do a wonderful job with putting the names and dates on them and I love being able to give to the kids each year. 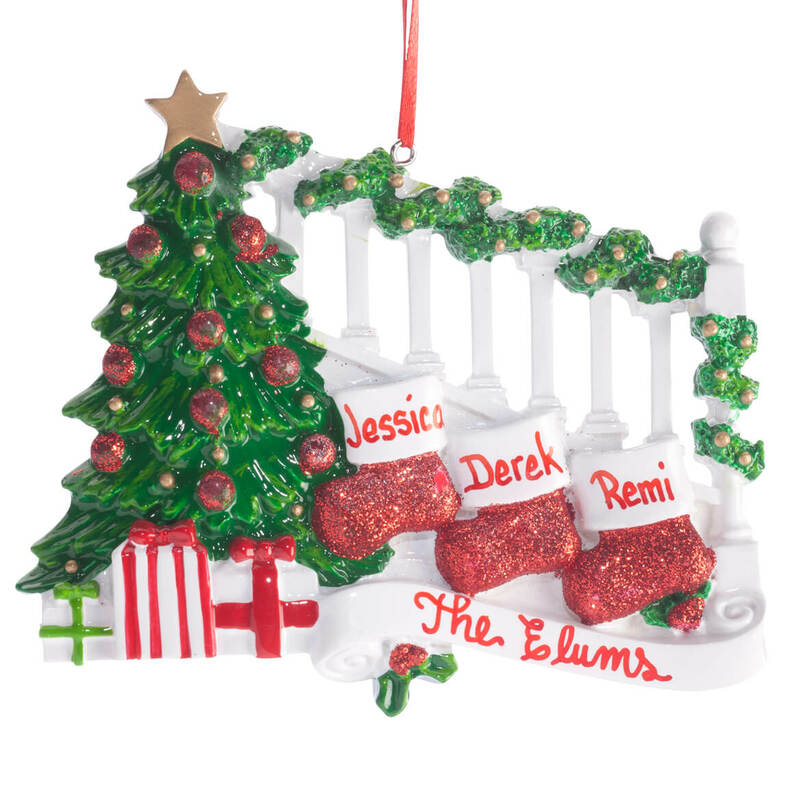 We are expecting our third baby this December, and I wanted a new ornament including his name. We also happen to hang our Christmas stockings on our staircase, so this seemed perfect! Very cute & love the personalization feature! 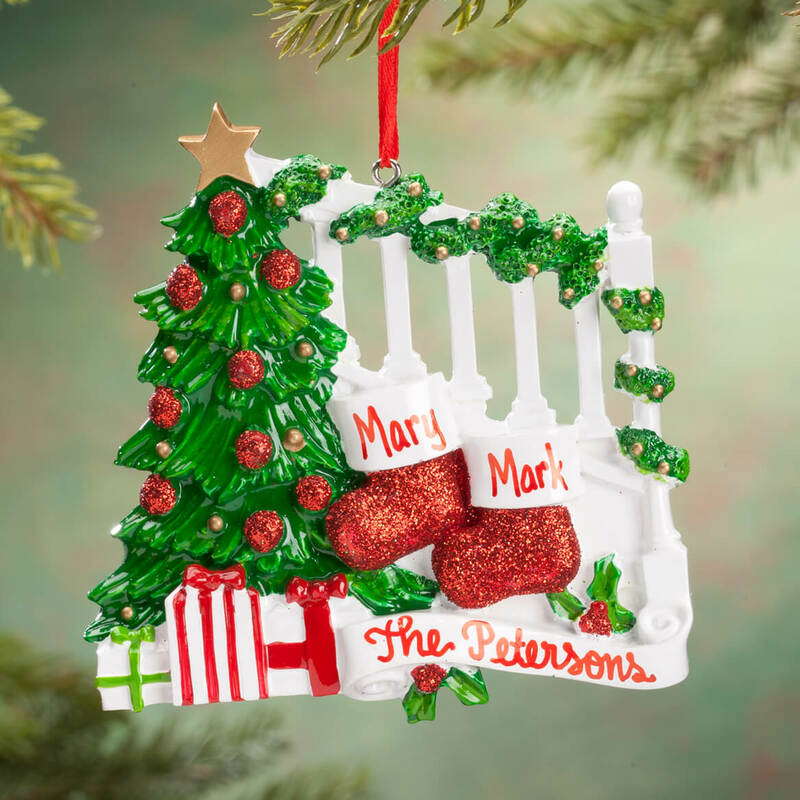 like to give an personalized ornaments. Would have liked to have the year on it. I will put it on the railing post with marker.